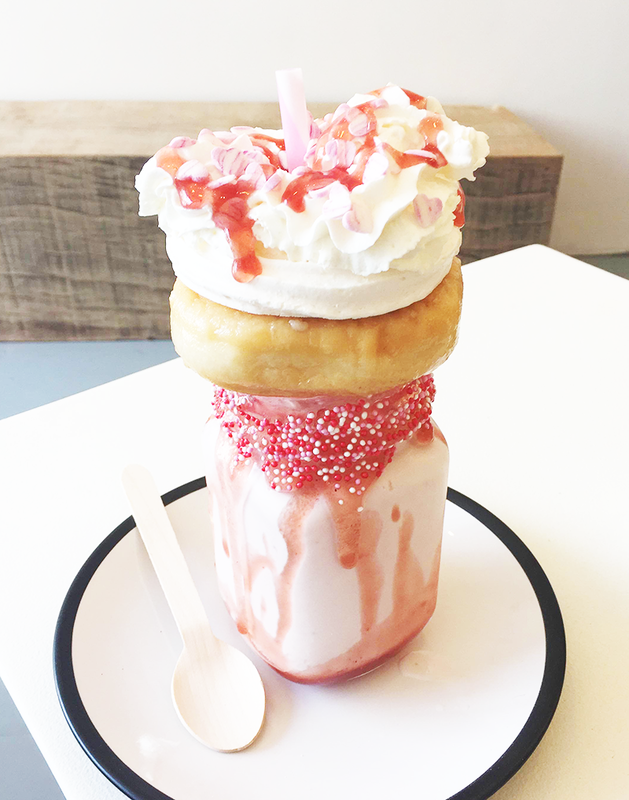 As you can see my strawberry freakshake (£7.95), was stacked high with all manner of delicious treats. First was a layer of cream covered with strawberry hearts and strawberry sauce. 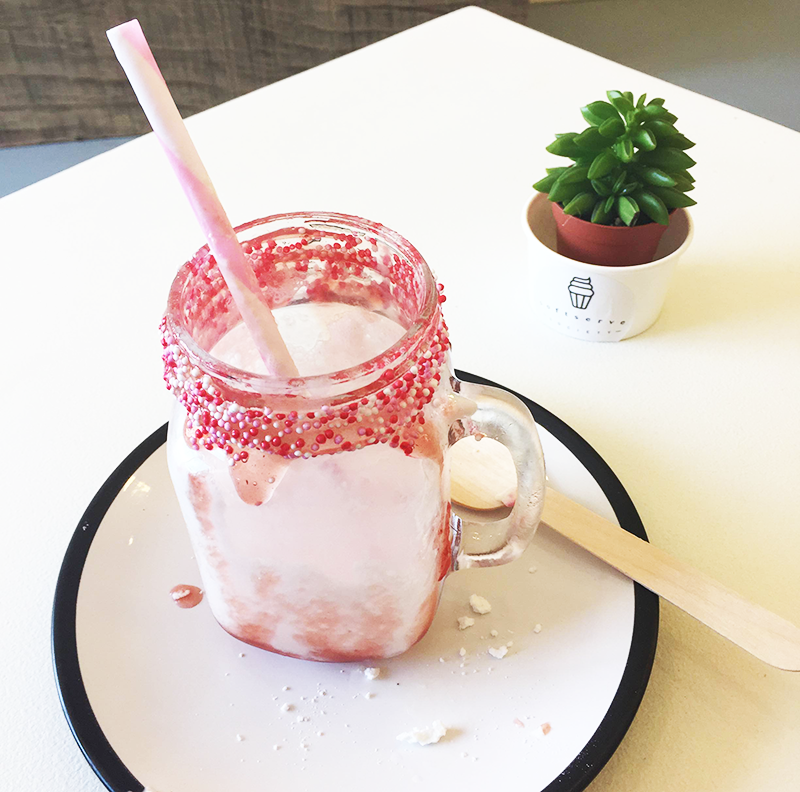 Next was meringue, and then the most gorgeous doughnut, followed by of course yummy strawberry milkshake. And let me tell you right now this was so yummy, like seriously I went to Strawberry heaven eating this and did not care about a single calories. And yes I even managed to finish it so Vicky, 1, Freakshake, 0. All I can say really was that I loved this place. The customer service was so warm and friendly and my freakshake was just delicious. Yes it's expensive at £7.95 but I think it's perfect for special days or when you're just in desperate need of comfort food (or even just a good Instagram photo...). If you fancy heading to Soft Serve Society (which you totally should by the way! ), they are located in Box Park - a complex of shops just next to Shoreditch Highstreet Station and their address is 2-10 Bethnal Green Road, London, E1 6GY. Going on an empty stomach is totally advised. That is truly amazing, I have no words... Seriously looks so delicious though! I WANT A FREAKSHAKE SO BADLY!